A Chicago woman riding the L train on Monday was brutally attacked when a strange man tried to hit on her. Unable to accept the fact that his advances were refused, Denzel Rosson followed the woman around the train, punched her and tried to steal her phone. The woman, who remains unnamed, had apparently rejected Rosson's attempts to talk to her several times. 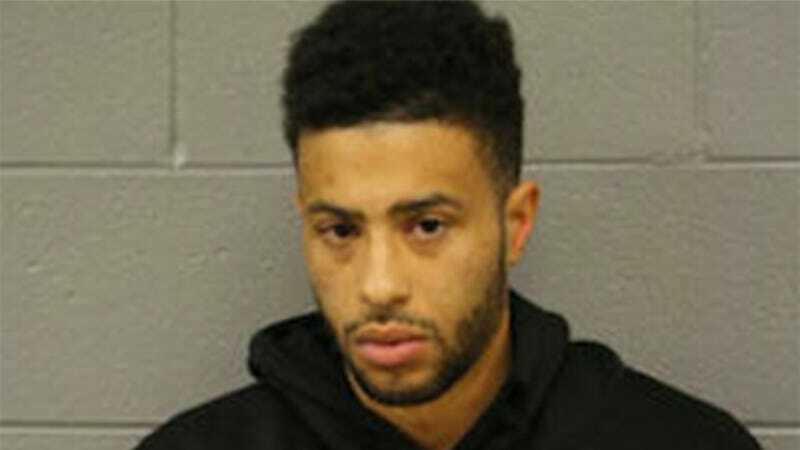 According to DNAinfo Chicago, first she refused his request for her number and then, when she began to feel uncomfortable due to his behavior and actually moved to another car, he followed her and tried to steal her phone. He also put her in a headlock. Because, again, why not? Here's a nice guy trying to get a woman's number and she just out and disrespects him in front of everyone? That's ridiculous! You don't just reject a man! You don't just say no to a random stranger who comes up and demands your number while you're minding your own business. I don't think this woman understood, like FOX News anchors did, that while bars and clubs are nice, for many men the street is their bar and club; that's where they meet women. This incident is another reason that it's important that we continue discussing how messed up catcalling is and how inappropriate it is for men to just approach women whenever they feel like it and demand a conversation. It's impossible to tell when a man is just socially awkward or inappropriate and when a man is going to turn dangerous. Regardless, it's no one's right to have a conversation with someone who wasn't and isn't interested, and while the woman in this case likely didn't expect that Rosson would attack her, it's clear from eye witness accounts that she was at least very uncomfortable. Rosson is being held on $200,000 bail. He faces charges of battery and attempted robbery.